Pricing your products and services may seem pretty simple and straightforward, however you have to put in research and time in order to get it right. You will need to make sure that your product and service are priced at an optimum level, in order to get the best profit. There needs to be a balance of quality and affordability in what you are selling to attract the right customers. Every product and service offered will have a different price, whether you are pricing a croissant in your bakery or a designer dress in your boutique. No matter what the business or product, you will need to consider the following. Being aware of the market and carrying out market research will give you a general consensus of what kind of prices you are looking at. When you are carrying out research, you need to find out what prices your competitors are selling similar products for. Once, you have that information you need to decide if you want to be cheaper, more expensive or match the prices. Matching the price can be dangerous as you really need to be offering something special in order to attract customers from competitor. Whether you match the prices, increase or decrease them compared to your competitors you need solid reasons that will help you make a profit. You will also need to look at all the costs that your business will incur. Putting together a business plan and setting a budget will enable you to see what all the different costs are that are going to affect your business. The types of costs include direct costs, which are the most important in terms of affecting the price of your product or service, as they include what you are paying suppliers or manufacturers for your materials and products. For example if you own a book store, these costs could be paying out to your book supplier, and also paying your store rent. You will need to take all of your costs into consideration to set prices for your products. For example, a café in London may have to charge double the price for a coffee compared to one in your local town; and this is because running a coffee shop would be considerably more expensive in London. This business owner will have had to set their prices higher in order to make a profit. Although prices may seem fixed, like they are permanently going to stay the same, you are able to change them. Make sure that these changes are not too regular, however you may have to change the costs in order to attract more customers or to cover the expenses of running a business. Your prices will also change depending on the market and depending on your competitors. You should also get regular feedback from your customers to see how they feel about the prices, and if you can, implement any changes accordingly. There are five different techniques that you can consider when setting the pricing of your products and services, and you can also switch between them. However, make sure you are not changing the prices too regularly as it may disrupt existing, loyal customers. Here are the five different techniques you can adopt. Premium Pricing – this is when you set the prices higher than competitors. You must have a good reason for making your products and services more expensive than others in the same market. One of the main reasons for using this pricing technique is because you have some kind of competitive edge. When starting up, using a premium pricing technique can be a good way to maximise revenue. Penetration Pricing – this pricing technique is the opposite of premium pricing. Penetration pricing is when you introduce yourself to the market with lower prices than the competitors. This will allow you to attract customers, and give you a chance to make a positive impression on customers. Which will hopefully lead to a loyal customer base. This pricing technique is a great marketing technique to establish your small business. Economy Pricing – this technique is keeping the prices as low as possible for the customers. This will mean you will spend bare minimum on things like marketing and advertising. Some good examples of economy pricing from bigger organisations are Aldi and Lidl who are known for being inexpensive compared to some of their supermarket competitors. 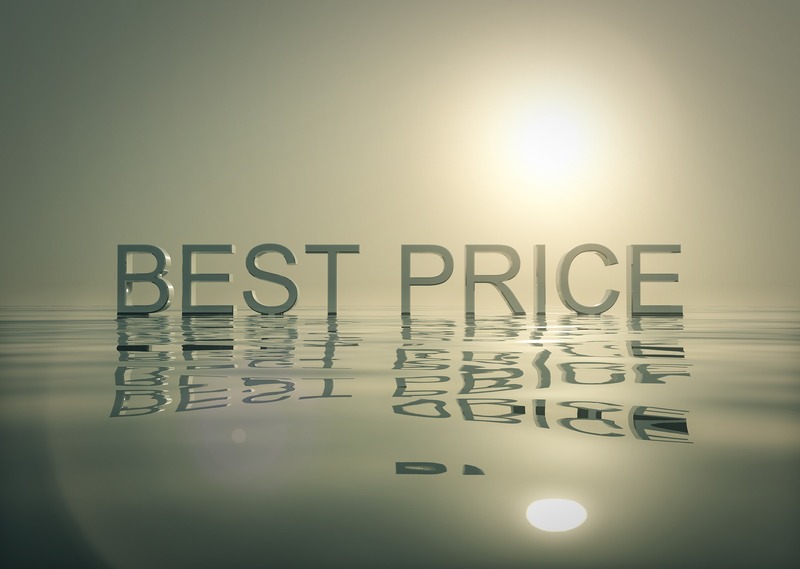 Psychological Pricing – This pricing technique plays a trick on the customers’ mind. For example you may want to price something £9.99 rather than £10.00 because in the eyes of the customer, it seems there is a considerable difference, when in actual fact the difference is extremely minimal. Price Skimming – Price skimming is taking advantage of the market as your product launches. If you are launching a unique item that will give you a competitive edge, you can use high prices, initially before competitors start offering something similar. For example, if you open an indoor trampolining business, then you can set high prices, before something similar opens in the same area. Setting the prices and choosing the right pricing technique for your business, in order to make the best profit, will vary for every business. It will often depend on the market you are launching your product or service in, and may even involve a combination of techniques. More information on starting up here.